Shoddy carrying cases often are the reason weaponry for U.S. military and law enforcement personnel are lost, stolen or damaged. Substandard gear harms the mission to stop terrorism. 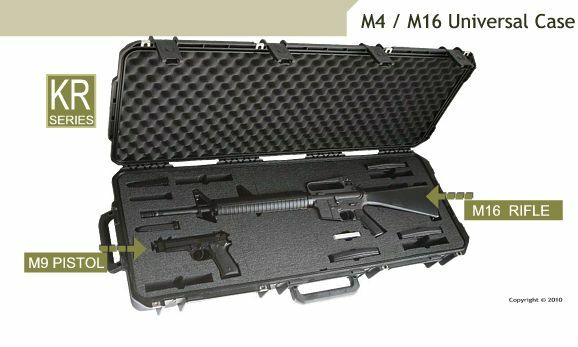 Police and the US troops to be deployed overseas require a rugged, shock proof and reusable transport solution – ‘Top kick’ in the carrying case chain of command. 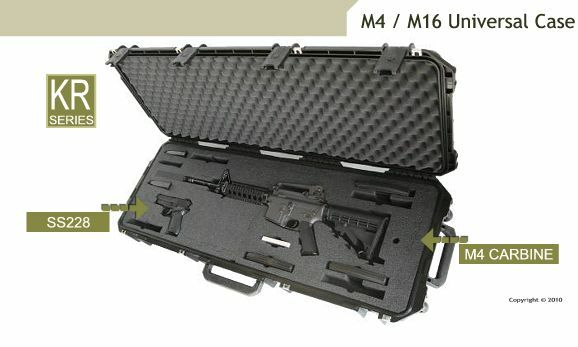 Therefore, global defense strategists salute CaseCruzer’s new GunCruzer KR-20 Gun Case. The GunCruzer KR-20 solution leads the way in safety and durability. 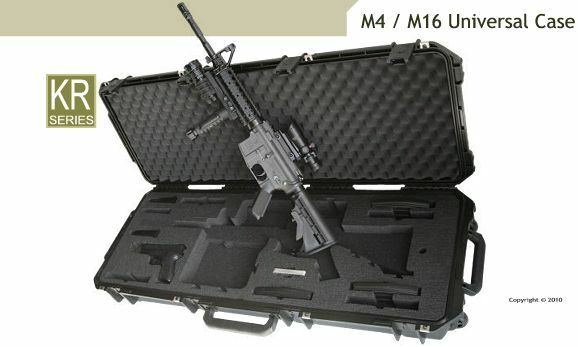 It deters malicious sabotage and pilfering by meeting stringent, new federal and military rifle and pistol luggage regulations that require four padlock flanges per carrying case. 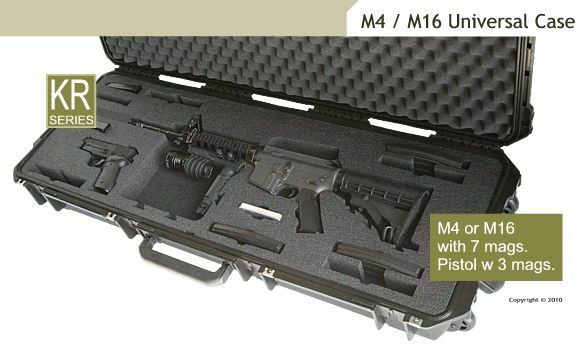 The 2N2 GunPOD will protect two rifles and two handguns and can transport accessories. The 3N3 GunPOD offers protection to three of your rilfes as well as three handguns and accessories.